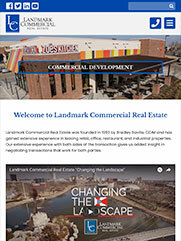 Landmark Commercial Real Estate had a wish list when it came to a new website. 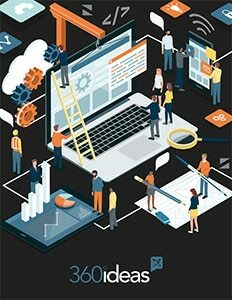 They wanted visitors to be able to easily search their available property types and find information about their different developments, property management services and hotel brokerage advisement services. No more wishing for this real estate team! The contrast between Landmark Commercial Real Estate’s old and new websites is night and day. Prior to the redesign, the bread and butter of their site—the property listings interface—was clunky and not user-friendly in the new age of mobile-first design..
Now, the page prominently showcases pictures of each property with only the key information listed at the top-level view. Users can sort the listings by property type and drill into each specific listing for easily digestible information on the property. 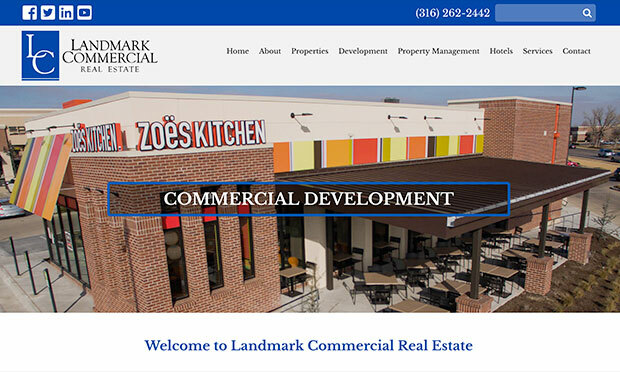 The Landmark Commercial team can also update any listing themselves within the custom property module that was built into the website’s content management system. The properties section’s ease and simplicity was carried over throughout the rest of the site. Now, the new mobile-first responsive design makes navigating the site a walk in the park!